What is Mattress Off-Gassing? | Essentia | Organic Essentia Mattress Inc.
Home // Mattress 101 // What is Mattress Off-Gassing? If you have researched a memory foam mattress at all, you have probably read a lot about the potential toxicity of the material and off-gassing. These terms can be alarming at first and may initially scare you off from purchasing memory foam. However, once you understand these things, and how to avoid them, you can make a more informed purchase while still enjoying the comforts and benefits of a memory foam mattress. Typically, one of the main complaints consumers have about these mattresses is that there is a smell which tends to emit from memory foam. This unpleasant odor is caused by the materials used to make the mattress and can last for up to 4 weeks, however, even though you can’t smell it as strongly, there is constant off-gassing over the lifetime of the product. The wrong mattress choice may result in bringing in an item with the highest VOCs in your home. The good news, however, is that there are some alternatives. Some mattress brands reduce the exposure by substituting the commonly used polyurethane foam with foams made of natural ingredients like latex, but that would not deliver the physical comfort and performance of memory foam. Only one company has achieved to make a natural memory foam mattress which mitigates this memory foam smell and reduce exposure to off-gassing VOCs, and that is Essentia. These Natural memory foam mattresses have some of the highest ratings for comfort, durability, and overall customer satisfaction. We’ll discuss how brands are able to do this and tell you what to look for to make sure your mattress comes odor-free. The new mattress smell of memory foam is produced by a reaction more commonly known as off-gassing. If you’ve ever smelled fresh paint, dry cleaning, or the inside of a new car, then you have experienced off-gassing. Unique to the mattress, however, is that the off-gassing lingers for many years. Like new foams, many other manufactured products experience this reaction which yields a chemical-like smell. Off-gassing occurs when chemicals known as volatile organic compounds (VOCs) break down. The by-product of this process is that most commonly, gases form and are released into the air producing the odor that we smell When it comes to mattresses, the most common place to find VOCs is in the foam and adhesives that they are made from. These can include chlorofluorocarbons (CFCs), formaldehyde, benzene, methylene chloride, toluene, trichloroethane, naphthalene, perfluorocarbons, and polyols such as polyurethane. Just the sound of these chemicals can raise questions in a consumer's mind! To help answer those questions, generally speaking, off-gassing is not toxic. While the odor from mattress off-gassingis unpleasant, it can cause big issues as some consumers have reported difficulty breathing, headaches, nausea, eye or throat irritation, and asthmatic symptoms. These ailments usually cease when the person is no longer near the mattress. While realizing the poor air environment or resulting symptoms may be on the extreme end, you may not realize that this off-gassing is constantly stimulating your central nervous system at night and not allowing deep restorative sleep. Holistic and natural remedy advocates simply say that your body is constantly fighting outside elements and is unable to truly recover from the day and in fact, the chronic daily exposure to these chemicals may cause permanent health damages. Despite the fact that some of the chemicals that cause mattress off-gassing odors are classified as carcinogens or potential carcinogens, no studies have yet directly linked memory foam to ailments such as cancer and no long-term chronic exposure studies have yet been conducted as the chronic exposure is for many years. Still, most consumers choose to reduce their chemical exposure as a lifestyle choice and want to sleep on a mattress as chemical-free as possible. When it comes to memory foam mattresses, most brands use the same materials from the same foam suppliers, very few make their own blends and methods to create their products which means that most have significantly high problems with mattress off-gassing. Some research has also indicated that higher density foams experience increased odors, that is simply because there is more product to smell. Therefore, if you are in the market for an all natural mattress, there are a few things you should be aware of as a consumer. When it comes to finding the best organic mattress, there are only two certifications which meet the most rigorous qualifications. The first, Global Organic Textile Standard (GOTS), requires that at least 95 percent of the mattress materials be certified as organic (see more on what that means below). It also strictly prohibits the use of certain substances that can be used within the other five percent of materials, such as chemical flame retardants and polyurethane, the primary ingredient in most traditional memory foams. Similarly, the Global Organic Latex Standard (GOLS) is the best certification for mattresses which contain latex. GOLS necessitates that a latex mattress is made with 95 percent organic latex and, again, places restrictions on the other 5 percent of materials used. Some natural mattresses may receive both GOTS and GOLS labels. Secondary to GOTS and GOLS, the Oeko-Tex Standard 100, sets limits on the emission of harmful chemicals and VOCs while banning the use of certain chemical flame retardants, colorants, and allergenic dyes. However, this does not guarantee the mattress fibers are produced organically. Furthermore, when a product is listed as USDA organic, it simply means that only a portion of the components was produced organically. For example, this certification can be obtained if the cotton cover is “made with organic cotton” while all other components may be inorganic or can even be processed using potentially harmful chemicals. In your shopping, you may come across a few other labels or certifications. It is important to understand what they actually mean and learn more about buying a natural mattress in order to make an informed decision. CertiPUR-US independently tests and verifies which foams are made with reduced amounts of harmful VOCs, phthalates, CFCs, heavy metals, formaldehyde, and PBDEs. This is not a true alternative to GOLS which simply prohibits these types of substances altogether. Greenguard on the other hand, tests finished mattresses for specific emission limits of formaldehyde and other VOCs. Greenguard Gold takes it a step further with even more stringent emission limits on the same VOCs. This certification does not focus on the use of chemicals but rather the traceability of chemicals once the finished product is delivered. Organic Content Standard 100 refers only to the percentage of certified-organic materials found in a mattress which means the presence of flame retardants, VOCs, colorants, or dyes is not assessed during the certification process. If you haven’t caught on yet, the only way to achieve many of these certifications is to start with quality materials. Unfortunately, many mattress brands prefer not to share what goes into their products, claiming they need to protect trade secrets. However, we at Essentia, have nothing to hide when it comes to our mattresses because we use only the best and make it easy to discover what’s inside a latex mattress. Our patented natural memory foam begins with Hevea milk which is mixed with other essential natural and organic ingredients. Once combined, this achieves the distinctive feel and properties found only in an Essentia mattress. A new mattress can also have other smells unrelated to memory foam off-gassing though. Even products like plant oils and natural fabrics can produce some odor. After purchasing a mattress, whether organic or not, you can avoid any of the immediate short-term off-gassing or other smells by allowing the bed air out for three to seven days in a well-ventilated room or garage before use. By doing so, you are giving the chemical components, however big or small, a chance to break down before you begin using the mattress. Some people may try to perpetuate the notion that a cover can help with mattress off-gassing. 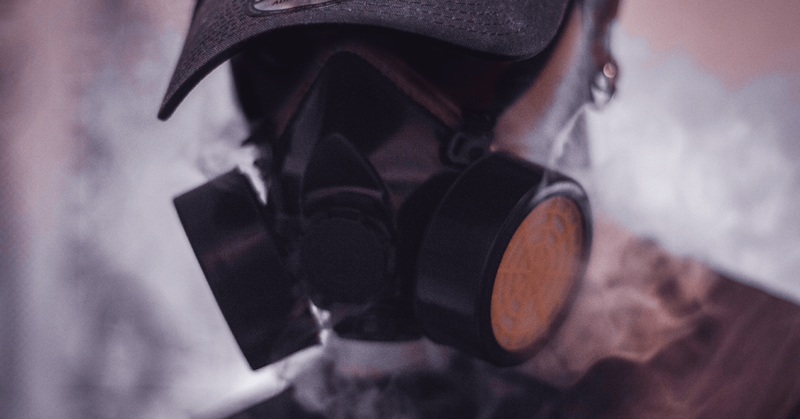 However, most plastic covers will simply add more chemical exposure or off-gassing to the situation or mask the problem rather than addressing it head-on. Simply put, many plastic dust mite covers or barriers are not safe. And while cloth barriers or covers are great for blocking dust mites and other allergens, they are not effective in preventing off-gassing. Clearly, off-gassing is a concern when deciding to purchase a memory foam mattress. Going with a natural or organic mattress brand can help minimize or eliminate some of those fears. However, with such a substantial purchase you may start wondering how long does a memory foam mattress last? Well, a lower-density mattress will result in a shorter lifespan due to the compression that inevitably takes place after repeated use. Higher density mattresses, on the other hand, will have longer lifetimes as a result of the compression which is inherent in its construction. On average, medium to high-density foams can last eight to ten years while low-density foams will last closer to only four to six years. This makes memory foam comparable to other mattress materials which last, on average, eight to ten years. Memory foam, specifically natural or organic, mattresses are well worth the investment. Not only because they are more environmentally friendly than traditional mattresses, both globally and within your home, but because of the many benefits offered from such mattresses. Some of the most notable benefits of memory foam are its ability to relieve pressure points, align the spine, and eliminate motion. And while all of these are excellent benefits, memory foam has likely seen a steady increase in popularity due to its ability to accommodate all types of sleepers, side, back, and stomach. As you can see, being aware of off-gassing can help you make smarter purchasing decisions when it comes to memory foam mattresses. Buying a non-toxic mattressmay seem difficult but once you know what to look for it will be a breeze!